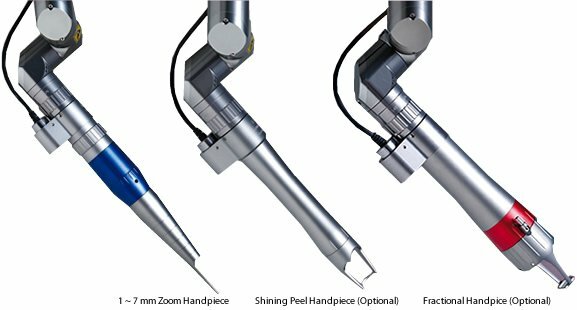 The specialized multiple stacking fractional technology of ACTION II combines user selected ablation depth with coagulation control for a virtually painless procedure. 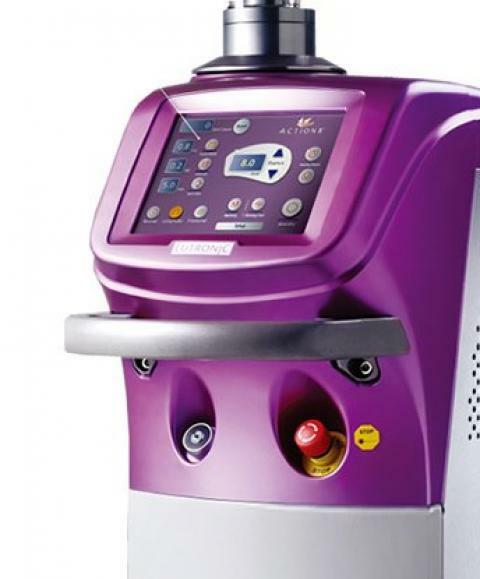 The fractional mode is available in both “Fractional” and “Long Pulse” modes and the user controlled thermal damage allows physician to provide a virtually painless treatment. ACTION II’s fractional technology leads to a rapid healing process and minimal downtime. Shining Peel is a brand new laser peel technique for wrinkles, large pores and skin rejuvenation that offers no need for topical anesthesia, minimal downtime and minimized risk for PIH. 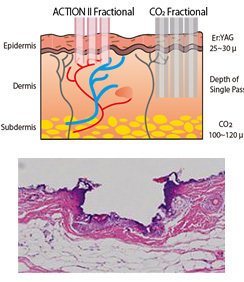 This gentle peeling technique stimulates collagen remodeling by delivering precise amounts of laser energy to the skin without immediate ablation of the epidermis. Shining Peel decreases the chance of PIH since the outside layer of the skin is kept intact during treatment; the outer epidermal layer will gradually slough off. Shining Peel revitalizes the youthful appearance of skin. Auto-detected Hand pieces for versatile clinical applications.